South Africa’s downgrade to junk status by a number of global ratings agencies has put an already strained economy under further stress. While this has numerous implications, for business, one of the most significant challenges is the fact that investments into technology become more expensive, and often cannot be justified in such an uncertain environment. Conversely, however, technology is the lifeblood of any organisation today, and not investing in it can result in a business being unable to compete, negatively affecting profitability. Striking a balance is imperative, and when budgets are stretched and skills are scarce, outsourcing has always been and remains the best option. For many organisations the current economic climate means that any significant long-term investments are off the cards. Large capital expenditure typically required to roll out new technology is not currently viable, particularly given the increased volatility of the exchange rate. In addition, stretched IT budgets also make obtaining the necessary skills to implement and manage technology solutions a challenge. These resources are often in high demand and command large salaries as a result, putting them out of reach for many smaller enterprises. Additionally, should this resource leave the organisation, which is frequently the case, they take their skills with them thus leaving businesses scrambling to fill the void. Obtaining IT as a service, in other words outsourcing IT, is the ideal solution for such volatile times, and there are many aspects of the technology stack that can be obtained in this manner. One of the most significant benefits of outsourcing is that it changes a capital expense into an operational expense, thus making costs more affordable and predictable. In addition, managing a service level agreement with an outsourcing provider means that IT staff do not need to be retained in house, again reducing expenses. 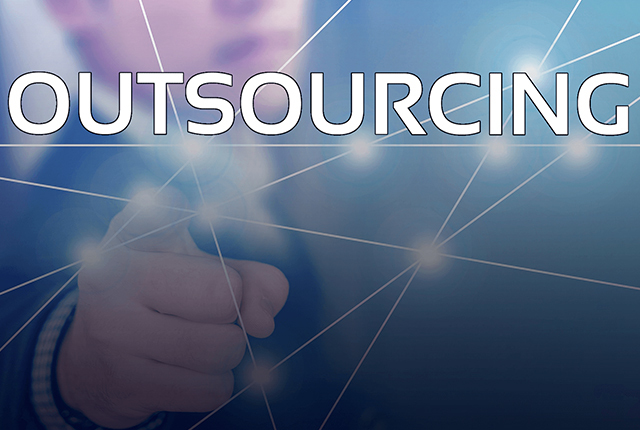 Outsourcing enables an organisation to focus on its core business, rather than worrying about managing technology, and allows access to specialised skills for improved IT service provision. It also means that a team of dedicated specialists will deliver services, and if one resource leaves it will not affect the organisation or the services they receive. Furthermore, outsourcing to locally based organisations helps to feed the economy by circulating money within the country. While many aspects of IT can be outsourced, one area that particularly lends itself to being delivered as a managed service is backup and recovery, and as an extension of this, disaster recovery (DR). DR as a service has grown rapidly due to the large investment required to implement and maintain a disaster recovery site and the organisation’s data. For many organisations, this is a significant expense, however, it is an essential ‘insurance policy’ against a data loss event. Backup and recovery are business-critical tasks and require specialised skills, but the majority of organisations cannot afford a dedicated person to tackle this task. Outsourcing gives organisations access to a team of people with the necessary skills, as well as greater efficiency and faster time to recovery compared to maintaining this service in house. Backup and recovery are no longer ‘nice to haves’ given that data is the lifeblood of today’s organisation and must be online and available at all times. Businesses cannot afford downtime, as the impact of a data loss event can be enormous, and once something goes wrong it is too late. Outsourcing DR as a service makes sound financial and business sense, and taking this a step further, implementing a cloud-based DR strategy means that it can add value to the business rather than simply providing a backup copy of data. Outsourced disaster recovery is growing, not only in South Africa but across the globe. Backup is a commodity and is essential to business continuity, and businesses of all sizes can benefit from outsourcing this service. In turbulent economic times, it can also ensure that businesses remain competitive while maintaining essential IT solutions and uncompromising service levels.